Nossa casa é tranquila, privado, bonito, simples, e na cidade. Charming home in a charming city. Everything we needed for a long weekend away from the mad rush! 5 year old granddaughter immediately unpacked her suitcase in "her" room - the loft! Will definitely stay again - next time in the summer! Thanks for sharing your home! The bad: We showed up on our check-in day and the cabin had not been cleaned since the last guest. The better: Called the owner and he got the cleaning folks to come in about an hour and we wandered around McCall for a while while they cleaned. 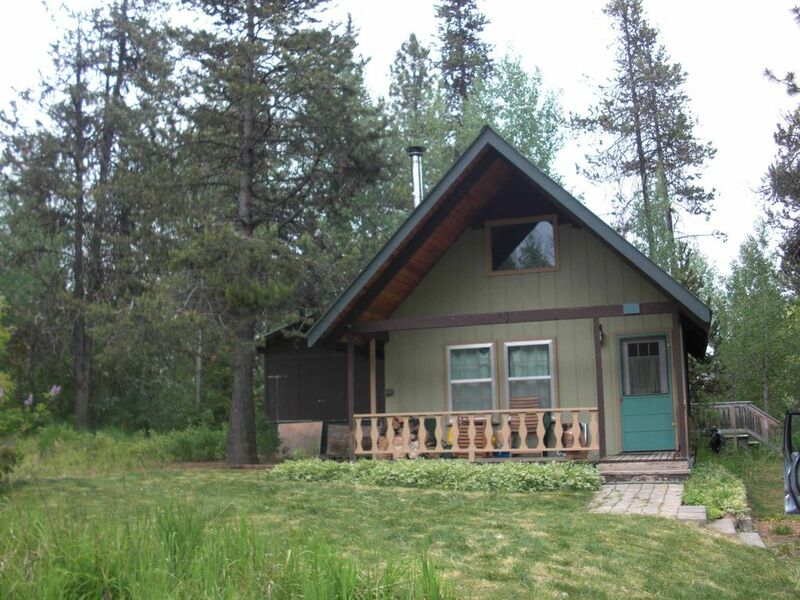 The good: The cabin was as-pictured and as-described. Our kids really liked the loft and we enjoyed the rest of our stay. Clean and cozy, had everything we needed for a great weekend getaway. this is a great place. it's located in a great area! really cute and roomier than it appears. We really enjoyed our stay. It's a cute place and clean. It's close to everything and a quiet neighborhood. My only suggestion would be investing in some better outdoor furniture and make the outdoor area a little more appealing. Otherwise, we loved it and would stay there again. My teenage boys loved the loft area. Had good supply of cooking condiments. Clean and comfortable! Margie Z.Where do you live? Location and little cabin’s space were great BUT both the front and back decks were totally unusable. They obviously hadn’t been swept since last summer, if then and were stacked with sleds(it was July) and other misc. junk.. The grass had not been mowed since last year, so the yard was unusable and full of mosquitos due to it’s length. The 2 bathrooms had exactly 12 squares of toilet paper between both and there were no extra rolls and there was no bar soap in the place, only one small hand wash bottle in one bathroom. It met our needs for space and location, but for the price, really could use some TLC. It could and should have been so much nicer. We are so sorry you did not enjoy our cabin. This was completely our fault. Clearly both our normal and back up spring transition methods did not work. We will do our best to make sure that this does not happen in the future. We hope that in contrast to all the other positive reviews, you can see that this was a one-time occurrence and that we strive to have folks enjoy our cabin as much as we do. For people reading this, unexpected things do happen, and we enjoin anyone to reach out to us to let us know immediately if they are not happy. We have people in McCall who can fix things for us. For instance, the water heater once failed and we dealt with that immediately and the people who were staying left happy despite the incident. So, please reach out and we will try our best to make things right. We never try to deceive anyone, but rather try to communicate as transparently as possible what our cabin is like. Our sincere apologies, again, that we failed in this instance.